Matt graduated from the university of Sussex in 2014, specialising in inorganic and physical chemistry. 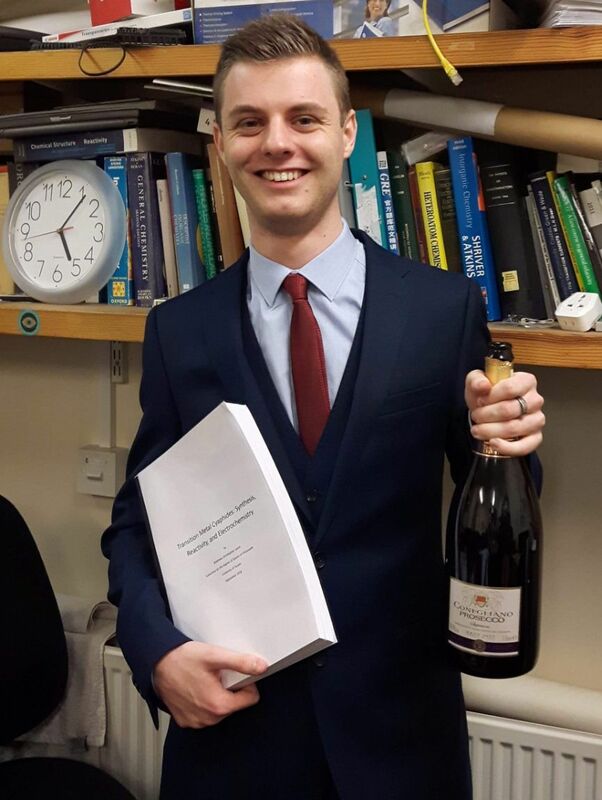 He subsequently started his PhD position under the supervision of Dr Ian Crossley, where he investigated the synthesis, reactivity, and electrochemical behaviour of mono- and multi-metallic transition metal cyaphide (M-C≡P) complexes. Matt is now developing new synthetic electrochemical strategies to generate O and N centred radicals under mild and green conditions. Matt is also enjoying studying redox mechanisms by the mean of ultra high-speed voltammetry.